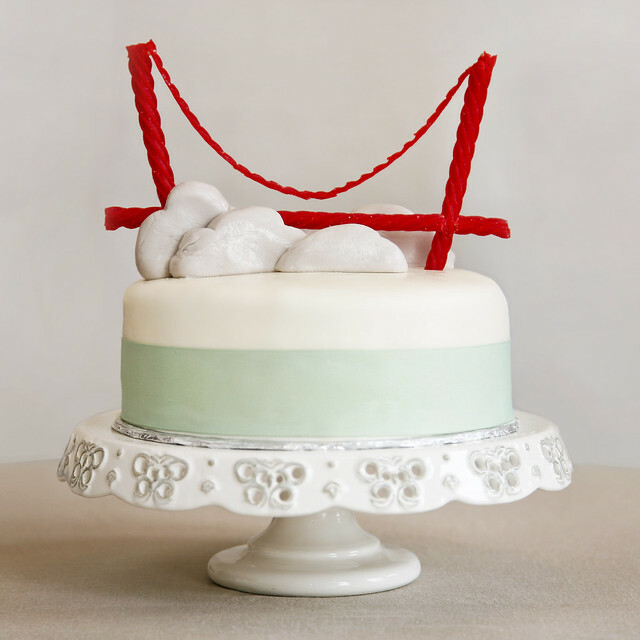 Welcome to San Francisco Cake! 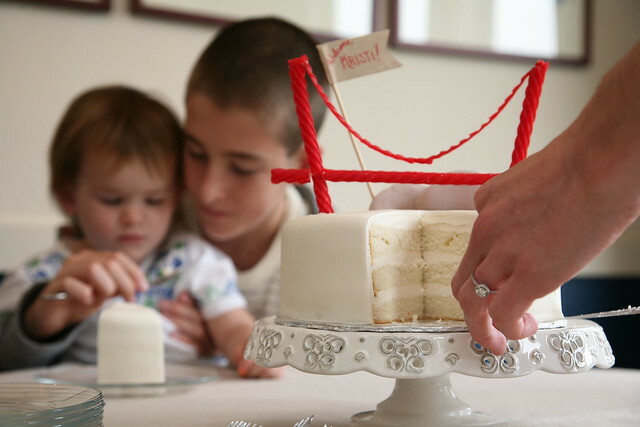 When the lovely Kristi came into town in July, Vale wanted to give her a special welcome so she showed her luvin' via Sweet Kiera Cake. She wanted something "San Francisco-y". I got an idea to use Red Vines (the West Coast Twizzler?) 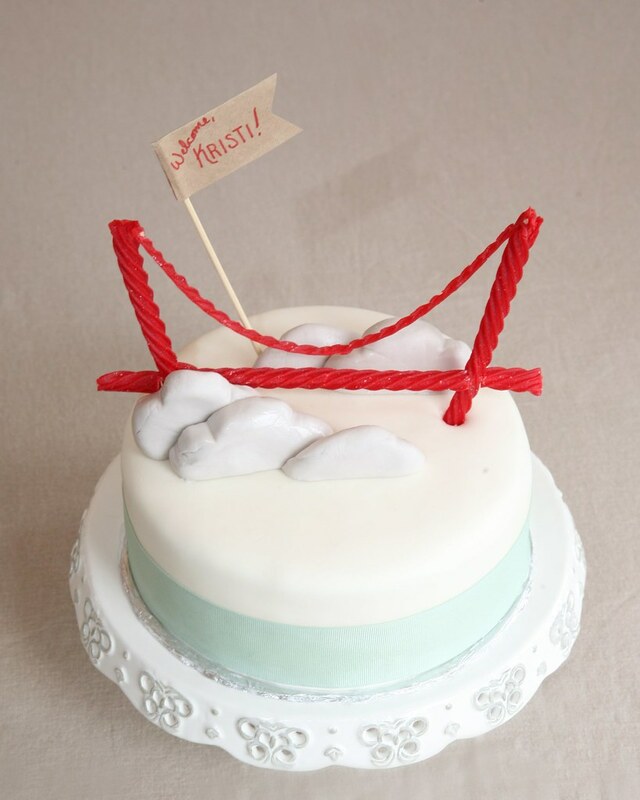 to construct a simple model of the Golden Gate bridge on top of the cake. 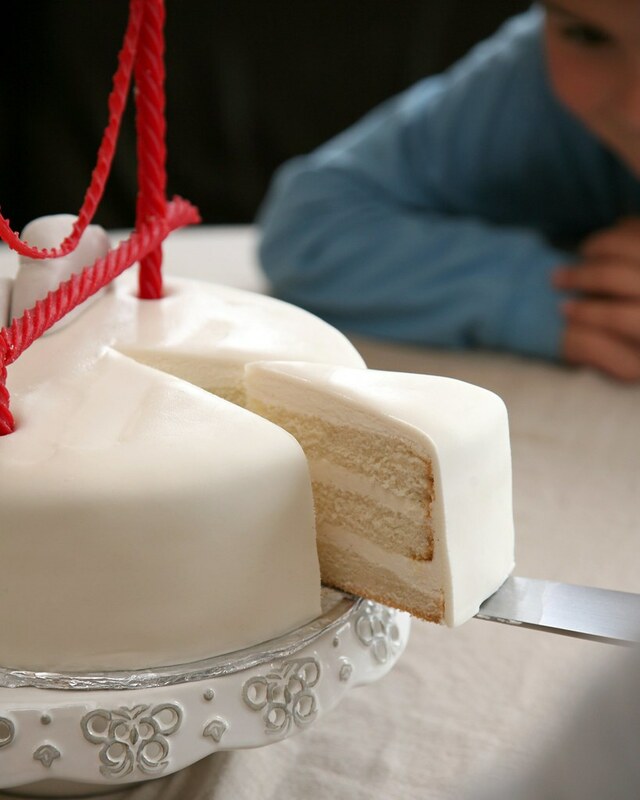 I wanted to keep the design of the cake really simple and clean. 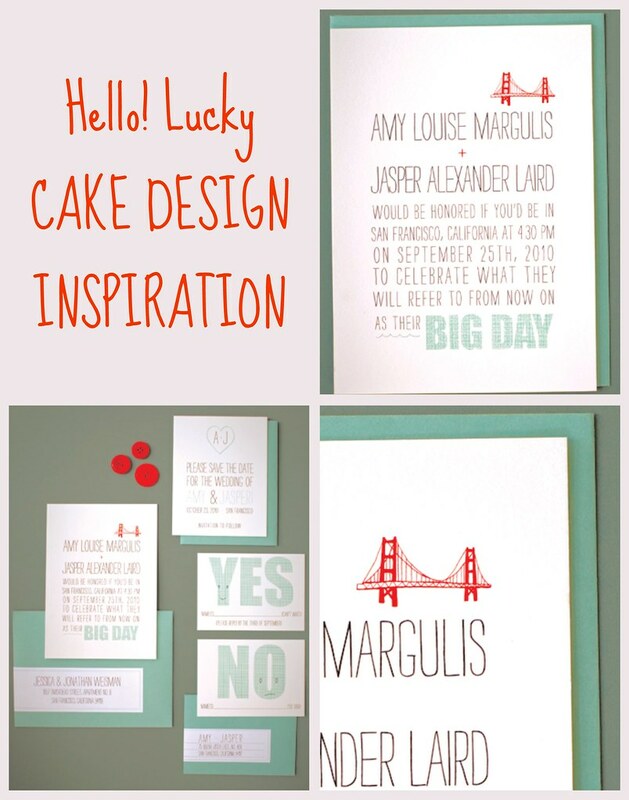 Once I saw the golden gate bridge on top of the white cake, I was inspired by the "Big Day" wedding invitation suite, which I adore, by "Hello! Lucky". 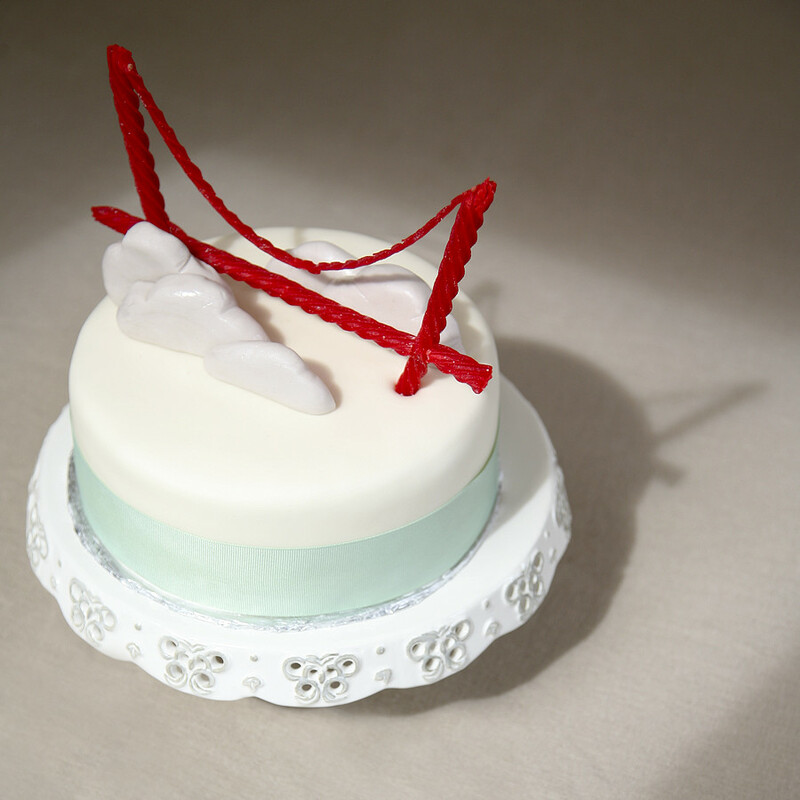 I decided to add on some mint green ribbon around the cake. I threw in some Fondant Fog to add a little more character. 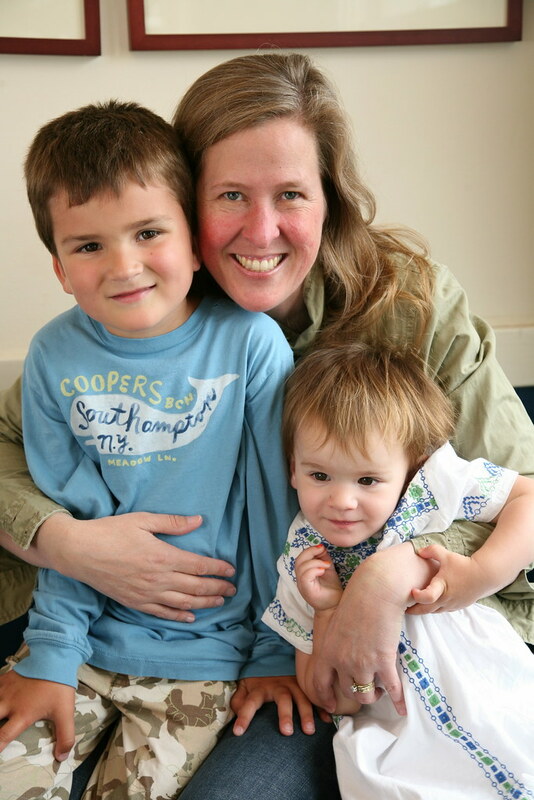 The final touch -- an afterthought -- was the "Welcome, Kristi!" kraft paper pendant flag. The vanilla-vanilla cake was a hit with the kids. 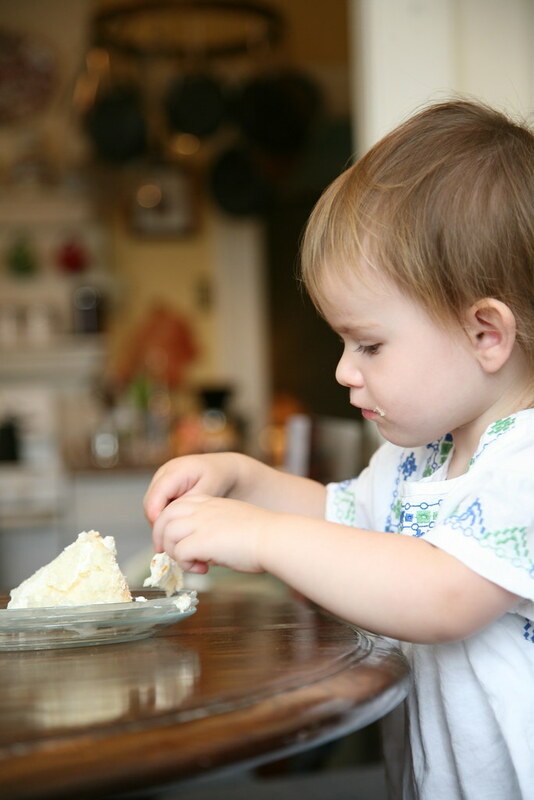 Kristi's youngest son Cole asked me for the recipe and Oscar ate a whole fondant fog bank. Bingo! Poor Lucy hates cake but we made her eat it. Siiiike. "Girlfriend" loves it.